Canada's largest online health & beauty product retailer. Weve been serving customers all over the world since 1996, and our goal is to provide consistently exceptional service with every transaction. We know how much going the extra mile helps, and because we arent a "big-box" store, we have the flexibility to respond to yourcomments and address your needs  fast. 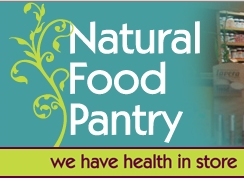 Natural Food Pantry, your source for health and wellness solutions. We are proud to celebrate over 25 years in the health industry and look forward to many more! The Natural Food Pantry was founded in 1981 and has evolved into a leader in the health food industry in Ottawa. With 3 locations, we provide an extensive selection of products including gluten free products, bulk foods, supplements, organic produce, organic meats, books, natural body care, sport supplements, herbs, homeopathy, specialty food products and more. Should you need support and direction in making your selection, you will find our devoted and well educated staff second to none. Our team includes several Nutritionists, a Massage Therapist, Herbalist, Iridologist and a Personal Trainer. 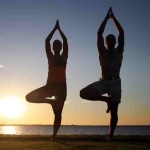 They are committed to helping every customer on their unique path to optimal health. For answers and assistance in learning more, visit one of our three locations today or give us a call and experience what the Natural Food Pantry has to offer. Well.ca is Canadas largest online health & beauty store. Our focus is on serving the health and beauty needs of Canadians from coast to coast. We aim to be the kindest, most friendly company youve ever shopped at. FREE SHIPPING to anywhere in Canada!